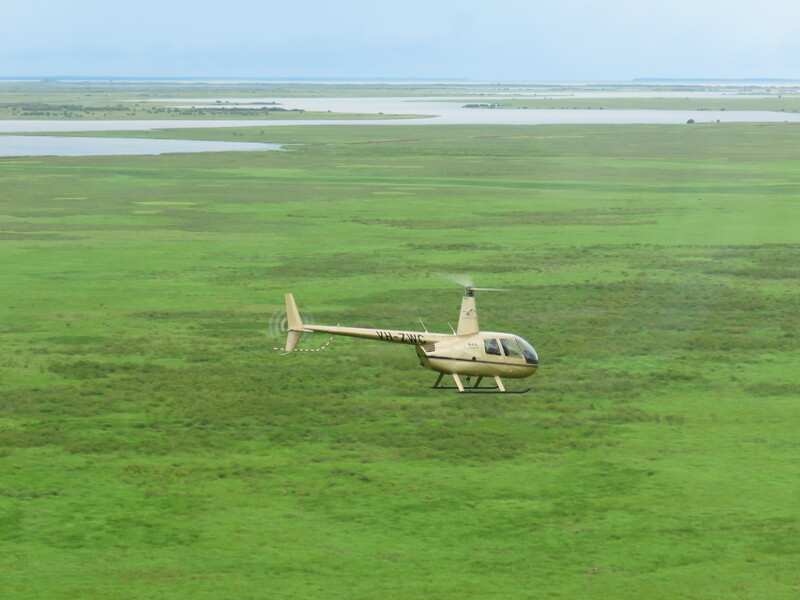 Take on the ultimate helicopter tour of the top end. Discover Kakadu, Nitmiluk and Litchfield National Parks. In 2 days you will see more, experience more, and cover more ground than you would in a week by road. 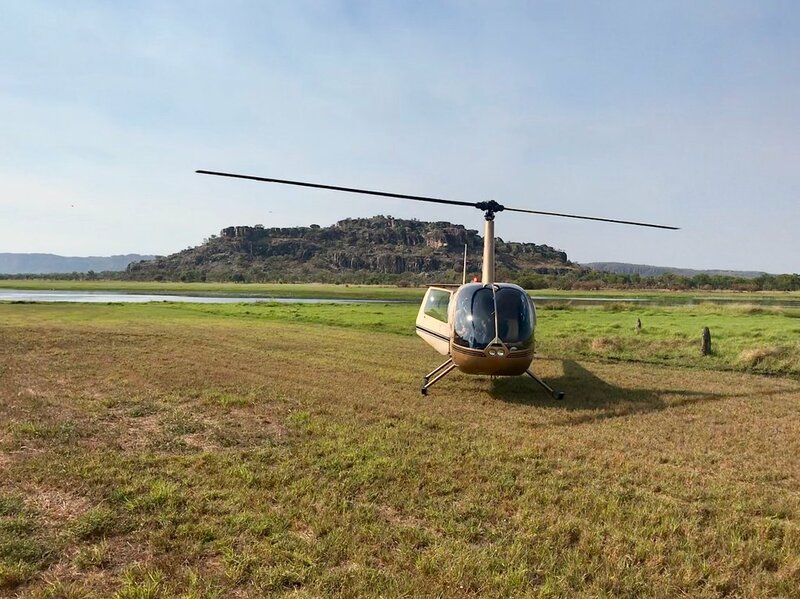 We pick you up from your hotel at 7.30am for departure by helicopter at 8.00am, heading east over the vast wetlands of the Adelaide River and Mary River systems and Alligator River systems of Kakadu, viewing wildlife such as Buffalo, Pigs, Birds and Crocodile. Our first landing is in Arnhem Land at the Injalak Art Centre in Gunbalanya, where you can spend some time discovering the beautiful arts and crafts and watch the artists in action. From there we land near the East Alligator River at an ancient Aboriginal Rock Art gallery with exclusive visitation permission of the Traditional Owners to Airborne Solutions. We depart the art site heading up stream on the majestic East Alligator River and into the endless rock country of the Kakadu/Arnhem Land boundary to Magela Falls and onto Jabiru for fuel. Once fueled up it’s only a short hop to Cooinda and a buffet lunch. 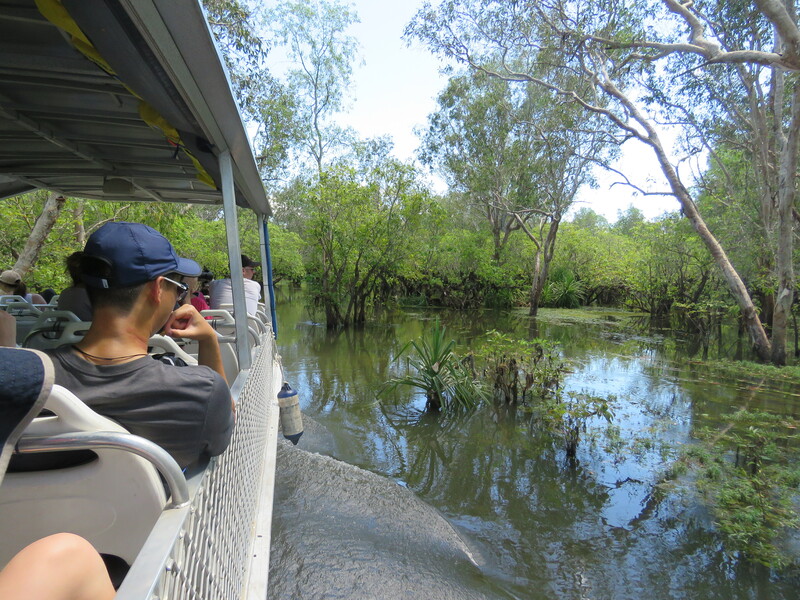 Following lunch, relax on a 1.5 hour Yellow Water boat cruise, getting up close to the flora and fauna of the Kakadu Wetlands. 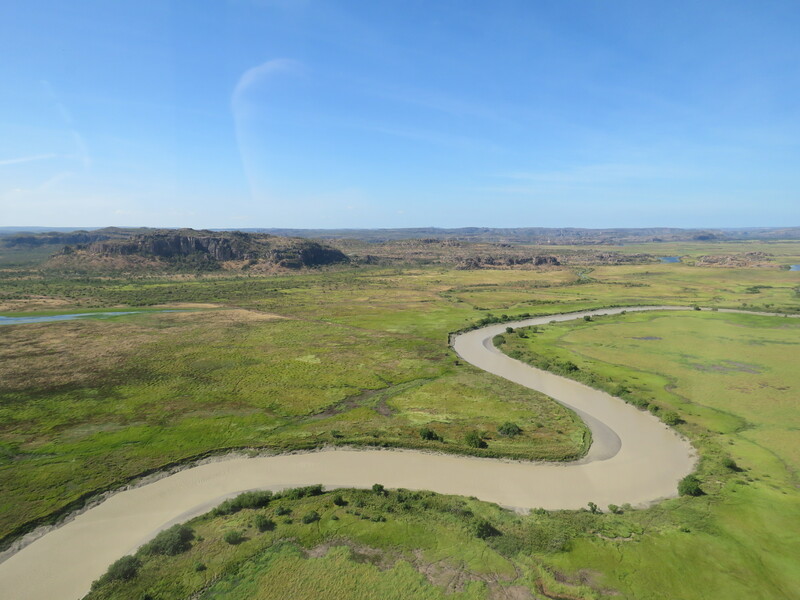 Following the cruise we head for the heart of Kakadu and the vast escarpments to overfly Jim Jim and Twin Falls and the spectacular southern rock country of the park including the upper South Alligator River. Leaving the northern river catchment area behind, we head south into the catchment of the Katherine River and Nitmiluk (Katherine Gorge) National Park. We take in the view of the 130 million year old Nitmiluk Gorge before landing for dinner at the award winning Cicada Lodge. Day 2 starts with a relaxed breakfast and time for a walk through the park before joining the 11.00am 2 hour Gorge cruise. Following the cruise and an early lunch we head north-west for Tipperary Station for refueling and on to Litchfield National Park, where we overfly the spectacular waterfalls and magnetic termite mounds and then on to the Finniss River Wetlands and Crab Claw Island for a break and a drink before returning to our base via Darwin Harbour at approx 4.00pm. This is a magnificent trip, with so many Territory highlights all rolled into one. If you click the book online button you will find many upgrade options to truly complete your Top End experience. If you have more time, try the Three National Parks in Three Days and customise your own tour. 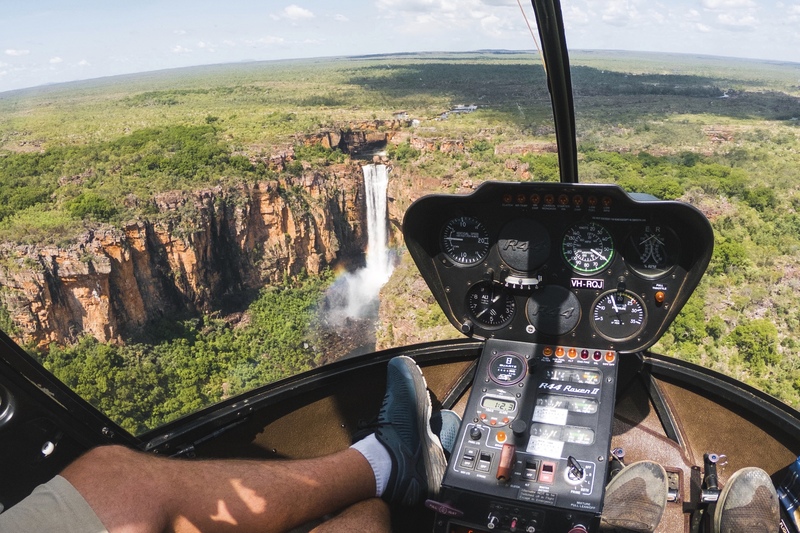 Helicopter scenic flights over Kakadu, Nitmiluk and Litchfield National Parks.